1. Yes to Cucumbers Face Wipes - One symptom that hit me (and most women) hard is fatigue. Lucas can attest that there were (still are) many nights when I would be asleep by 7:30 or 8:00P. The last thing I would want to do is take off my makeup, but I also refuse to sleep in makeup. Solution? 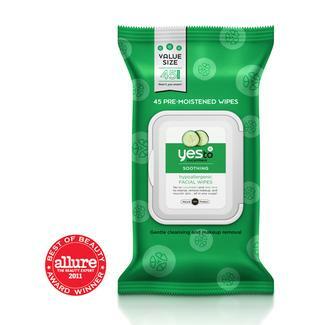 Yes to Cucumbers wipes! I've tried many makeup removing wipes, and I am sure they all accomplish the same goal. I love these - and now the Honest wipes - because they accommodate my sensitive skin. I could take off my makeup half asleep and that is now a standard practice. 2. Preggie Pops - You guys, I tried Gin Gins. I love ginger tea! But I couldn't do it. The taste was so putrid to me that the thought of surviving on Gin Gins was so bad. So, I started doing some research and found Preggie Pops. In Memphis, these are sold at the Destination Maternity/Pea in the Pod store in East Memphis. They may very well be other places. The website said they were sold at Target and Walgreens, but we never found them there. They fought the nausea for sure. There is some element of ginger in them, but they are masked by a sour fruity flavor. I would stockpile these and use them again if I am blessed with a future pregnancy...or maybe just when I am carsick...or maybe just because they taste good. 3. Honest Stretch Mark Balm - My mom bought this for me in the very beginning and I have developed a routine of putting it on. I suppose I cannot review it because I haven't fully stretched yet. I will tell you I like the consistency because it is very moisturizing. I will do a nice review postpartum when I do or do not have said stretch marks! Fingers crossed :) Most of these products I love. I think Jessica Alba has done a great job of creating awareness for natural/organic products and making a case for their use. The price point is not always friendly, but I know my sensitive skin is thankful. It is also more well marketed than a lot of the competing brands that have been around forever. I am anxious to see if the diapers are a viable option. 4. OatFit Oatmeal - Yes, Lawd. I am pretty standard about eating the same thing for breakfast every day - pregnant or not - scrambled eggs with cheese. Well, guess what I hated in the first trimester? Eggs! The thought and consistency made me sick, so I was forced to regroup. I wanted oatmeal, but I knew that my blood sugar could not handle most brands and portions offered. Enter OatFit. These bad boys are individually packaged (100 calories/15 carbs). You pour the oats into a microwave-safe bowl (unless you think microwaves are evil), pour water into the pouch up to the line, add the water to the bowl and cook for 90 seconds. Viola! - a reasonably portioned breakfast! This was way easier to get down. So, I know those are just a few items, but as I said, the First Trimester was not riddled with many drastic changes that required new purchases. A lot more is going on beneath the surface and I focused on sleeping and trying to eat when I could. It was back to basic survival skills with less of the fun stuff. The second trimeter has been way better so far, and I cannot wait to share some of those favorites with you all! What did you swear by in your first trimester?